Sparking curiosity. Fostering reflective learning. Exercising reasoning. Fun! Interactive! Unique! Historical! Engaging! 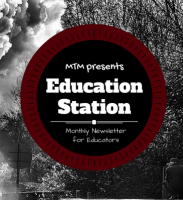 Provide your students a memorable and authentic history experience they will never forget! 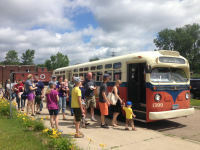 Minnesota Transportation Museum offers TWO different field trip experiences! The first experience is our historic Jackson Street Roundhouse & Museum located in Saint Paul, MN. The second is a real 90-minute train ride departing Osceola, WI and winding through the St. Croix River Valley on our historical train - each car is unique and full of history! Afterward, you have the option to hike the waterfalls at Cascade Falls and/or explore at Mill Pond park! and Nature Hike Field Trips! *teachers and bus drivers get FREE admission! ​A non-refundable down payment of $50 is required to confirm the reservation and will be deducted from your final admission cost. Step back in time at James J. Hill’s historic Jackson Street Roundhouse right in the heart of Saint Paul, Minnesota! We are the home and headquarters of Minnesota Transportation Museum. We offer guided tours of our amazing museum and specially designed programming for K-12 students! 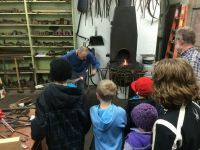 From the historic roundhouse building itself, to real trains, to an operating Restoration and Blacksmith Shop, our Museum offers a truly unique experience for your students! You will not find this anywhere else! Guided exploration of the Museum and exhibits led by one of our expert interpreters! (optional) Bring your own bag lunch at eat in the museum. There is also the option to eat IN a train car (seasonal times/days only). Field trips can be scheduled Tuesday-Friday beginning at 10am. Wednesday is the only day the Blacksmith Shop is open for tours. How does our Jackson Street Roundhouse & Museum Field Trip fit with state standards and your curriculum? and to help get your trip booked! 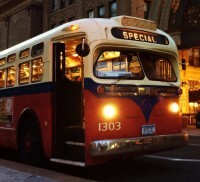 Are you interested in using our buses for transportation?